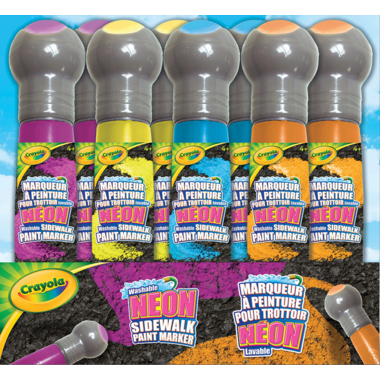 Create colourful, bold lines on most outdoor surfaces. Marks are completely washable with a garden hose. Please Note: The colour you receive may vary from the image shown. You will receive one of the following colours - purple, yellow, blue or orange. 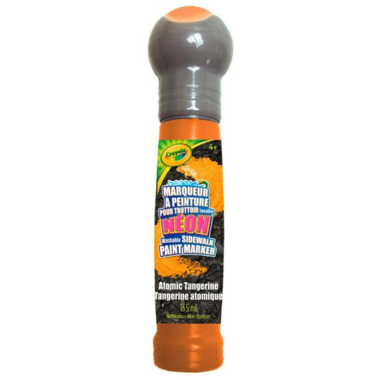 It took a lot to get the paint flowing properly and it does not wash off as easily as they say, it is more a real paint consistency so takes a bit more effort to wash it off, not like sidewalk chalk.